Financial Independence: The term “Financial Independence” returns 175,000,000 results when Googled. There are thousands of sites providing quality information promoting Financial Independence (FI). This content includes popular blogs, podcasts, videos, books, and forums. 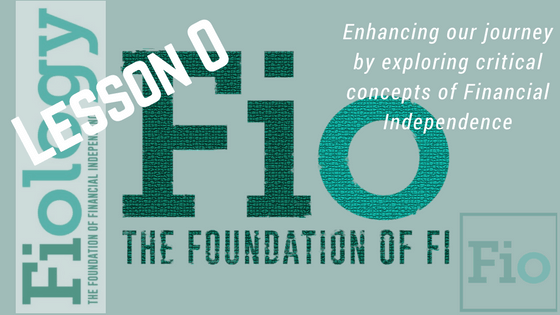 Fiology uses content from the best and brightest of the FI community and creates lessons covering the critical concepts of FI. It is designed to help educate and motivate without scouring the internet reading, watching, and listening – wondering if you’ve educated yourself enough on any particular topic before moving onto the next. The intended audience ranges from those just beginning their FI journey to those who have achieved FI. Lessons: Each lesson is designed to build knowledge, skills, and confidence toward a single critical concept of FI. The time spent associated with each lesson will vary depending on existing knowledge level and experience. A single lesson should take between 2 and 5 hours to thoroughly explore. At the end of each lesson, you will have an essential understanding of a critical concept of FI and be prepared to apply your new knowledge and skills with confidence. Motivations: Fiology does not have a goal to profit financially. It has a goal of becoming a useful resource. In the future, should Fiology have an opportunity to create income or attract donations, all funds received will go directly to promoting and educating others, either by promoting Fiology or by supporting other organizations or projects with a genuine interest of helping others achieve Financial Independence. Feedback: If you know of content that you feel meets the lesson objectives better than the content currently chosen by Fiology.com, please let us know. The lessons will be reviewed and revised periodically to ensure we continue to reference the highest quality content.